The Trump administration wants a court to throw out all of the Affordable Care Act. That’s dubious politically as past attempts helped flip the House to Democrats. And success would actually undermine the White House’s main healthcare goals, including reducing costs. 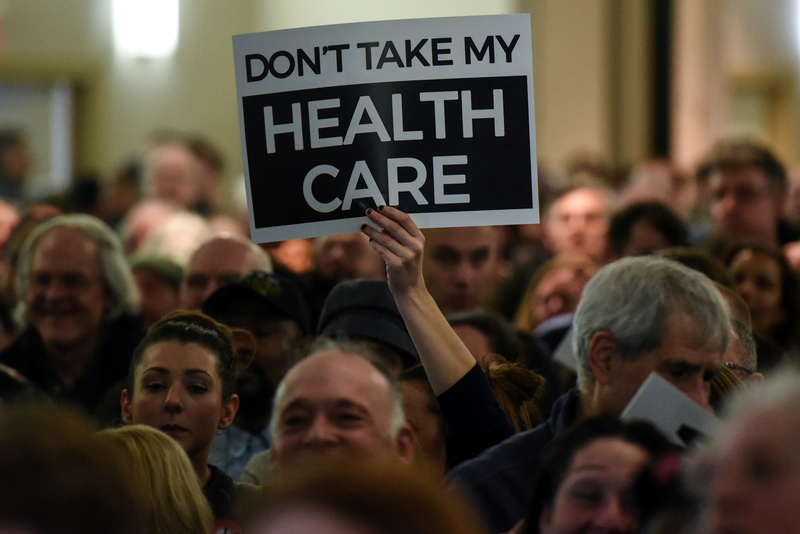 People demonstrate for the Affordable Care Act and against Trump during the First Stand Rally in Newark, N.J., U.S. January 15, 2017. The U.S. Department of Justice said in a March 25 letter to the Fifth Circuit Court of Appeals that it now supports a lower court ruling that declared the Affordable Care Act unconstitutional. Previously, the Trump Administration had partially sided with a coalition of 20 Republican state attorneys general challenging the law, arguing that only portions of the law should be struck down, such as the individual mandate, and provisions barring insurance companies from denying coverage to people with pre-existing conditions or charging higher premiums based on customers’ medical history. In 2012, a majority of justices on the U.S. Supreme Court said the law’s individual mandate that required citizens to buy insurance was not constitutionally justified by Congress’ ability to regulate interstate commerce. However, a majority also ruled that the mandate was a tax penalty, and therefore constitutional. The Tax Cuts and Jobs Act of 2017 eliminated that penalty. Last December, district judge Reed O’Connor ruled that because the tax penalties were eliminated, the individual mandate was unconstitutional and, therefore, so was the entire law. The ruling is being appealed by a coalition of Democratic state attorneys general in the Fifth Circuit Court of Appeals.